Jace moves through the ever shifting space of the Blind Eternities and reaches his destination. The curtain of energy the separates the chaotic nothing from the plane beyond was different from the others he had come across. The feel of it changed feel changed. It cycled between five distinct energies, and so Jace waits and studies the feel of those different energies to truly understand which one was Grixis. And then he steps through. We come upon a gruesome scene located in a gruesome place. The cavern was lit only by a flickering of hellish flame, leaving most of its features submerged in darkness - and for that, any same observer must have been grateful. What walls could be seen were broken bone, and the ceilings wept tears of blood that smelled of putrescence and formed warm and quivering stalactites of foulest, clotted brown. 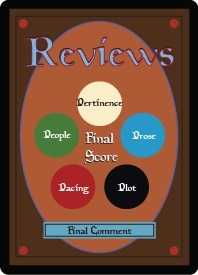 Windows of fingernail, not individually torn from any hand but naturally grown in broad sheets, allowed a blurred observance of chambers more terrible still, where the walls were stone-stiff scabs over gangrenous wounds in the earth, and the floors were teeth gnashing and eager to grind the unwary. In the middle of this horrific cavern, three tongueless men covered in shallow cuts are staked to the ground, while a deformed and rune-covered man and woman circle the three and cast strange powders upon them while chanting strange spells. The powder settles into the cuts and the men scream their tongueless screams, however, as two of them quiet down again the last begins spouting strange sounds that would have been words had his mouth contained a tongue. The woman, Caladesa, calls out to her master that a vision is at hand. She walks over to the man, and with a sharp fingernail she digs into his eye and scoops off his cornea and inserts it into her own eye. To her master she says that two planeswalkers have arrived. "Mind-breaker, thought-taker, eye-blinder, dream-raker. He walks the intentions of others as easily as he walks between worlds, but knows not his own. "Death-bringer, corpse-talker, spirit-rider. She teeters on the edge of death, and fears to fall in after those she has sent before her. A blossoming of truth that rots around a seed of endless lies." 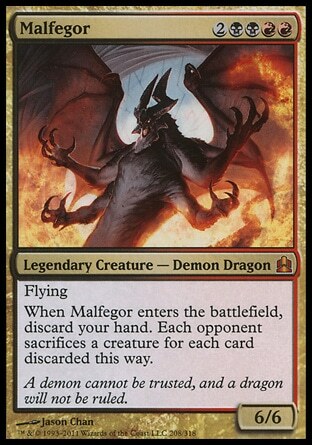 Of course Nicol Bolas understands who it is, and he commands for Malfegor to continue overseeing the soothsayers while he flies off take greet his guests. The world of Grixis is unlike any plane he had ever visited. An unnatural storm immediately starts rotting away the very hairs on his body and begins to eat away at his flesh until he casts a field of mana to buffer the assault. As he takes his first steps he realizes the very ground is made of flesh as teeth rain down from the sky. 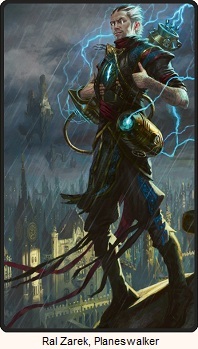 Liliana is nowhere to be seen and so he goes in search for her. The search does not go well. In the middle of a small depression, zombies start ripping through the flesh that covers the surface of the world. Some immediately succumb to the storm as their own flesh is stripped from their bones, but there are dozens upon dozens of them and those that can still move unrelentingly pursue their prey. 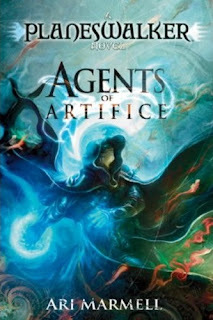 No amount of illusions can dissuade them and no summons would survive the storm, so Jace runs... or tries to. There are too many. No matter which direction he looks, zombies approach. Eventually the inevitable happens and they catch him, but before they can deal the killing blow they simply stop. Liliana appears, completely unaffected by the storm, relishing in the nature of the mana of this world. And by her command, the zombies have been able to understand she wants to be taken to their leader, and they lead the way. The zombies signal that their master is just ahead. Liliana is eager to have this done with and cloaks them in black mana to hide them from the zombies' senses and they leave their guides behind. The two go through the winding crevices that the zombies had pointed them towards until they reach a dead end. They pause to catch their breath, and suddenly Nicol Bolas appears. I wasn't too happy with the introduction to the Favarial district (way back in Chapter 5 ) where they found "Jace", but this chapter is a completely different story. The world of Grixis is certainly a completely alien place without any green or white mana, and it absolutely needed it's own introduction.